Every morning, Monday to Friday, our warehouses start their day at 6am sharp. The printers come to life as the shipping coordinators in our Seattle, Washington and Vancouver, BC facilities are busy getting the shipping labels onto the packing floor. Every Express label has to be done by noon sharp, and every parcel has to be wrapped and ready for pick up at 1pm. All customer orders that are submitted by 1pm must leave the same day, it is our promise – that is our goal! But what happens to customer’s parcels once they are on the truck? traversing trucks, trains, airplanes and dozens of human hands, before the parcels finally arrive to our customers. and dealing with lost, misdirected, stranded and abandoned packages is a part of every day’s business for us. we still feel pretty crummy when someone is upset about the lack of an LCD screen in their laptop. What happens if the parcel is delayed? we willingly refund the shipping difference of the time-sensitive service selected versus the actual time it took to get there. What happens if the parcel is lost or stolen? Not nearly as common as delayed parcels, such scenarios involve quite a few steps we spare our customers from. we provide our customer with the refund of their shipping costs relative to the delay. 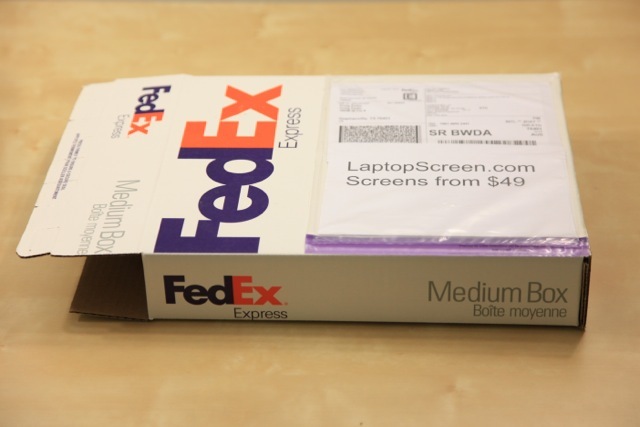 but we also let the customer know to send back any extra parcels that may arrive afterwards. When would you guys not compensate in favor of the customer? Weather conditions, force-majeure and “acts of God” are omitted from compensation, just like all couriers state. and we do everything we reasonably can to expedite the parcel to the customer. will take extra-extra long time to finally reach the recipient and we thank our customers in advance for helping us help them. so that the parcel can be received on-time. Don’t feel shy, and please do contact our support department as soon as any concerns arise. What happens if the parcels gets to me, but it is unusable or completely destroyed? Don’t panic! Contact our support immediately, or at most with-in 5 business days. then we send over a replacement – you don’t have to deal with the courier, and in most cases you don’t have to wait for the courier claim to be approved, we take care of the paperwork, and we require almost no effort from our customers in these circumstances. If you have any concerns, questions or suggestions, our support department typically answers tickets with-in 20 minutes during the business time, and after-hours support ensures every request is addressed as promptly as possible. “What happens if the parcels gets to me, but it is unusable or completely destroyed?